Armistead Maupin’s Tales of the City was way ahead of its time when it was first published back in the late 70s. The first in a series of books that originally ended with Sure of You back in 1989, Maupin began revisiting the characters that once called 28 Barberry Lane home with Michael Tolliver Lives almost 20 years later in 2007 before bringing the series once again to a close with The Days of Anna Madrigal in 2014. I have devoured each of these books and while the series had a rather soapy beginning, it remains as poignant and juicy as ever. 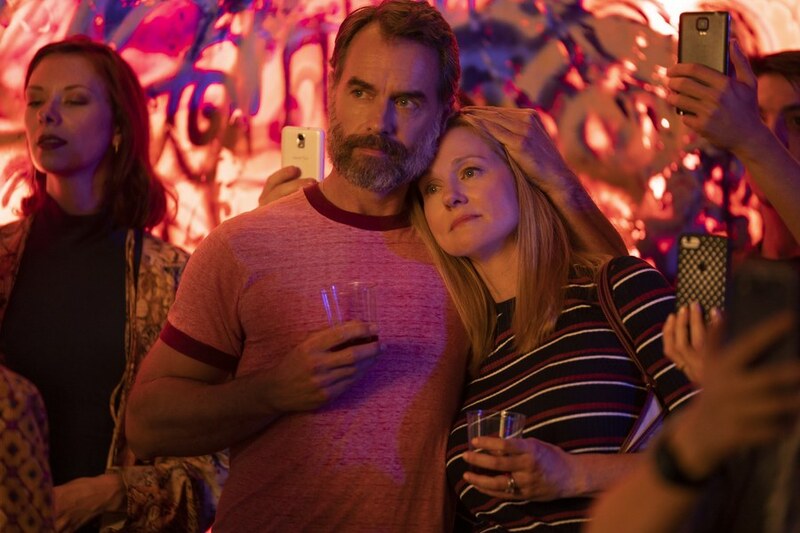 In 1993 the first three novels were developed into three televised miniseries and now Netflix is bringing the series back this year.Olympia Dukakis returns as Anna Madrigal and is joined by returning stars, Laura Linney (Mary Ann Singleton) and Paul Gross (Brian Hawkins) with Murray Bartlett, Ellen Page, Zosia Mamet and many more joining the cast. The revival will bow sometime in 2019 and a few images have been released to tease us. You can see all the images here.